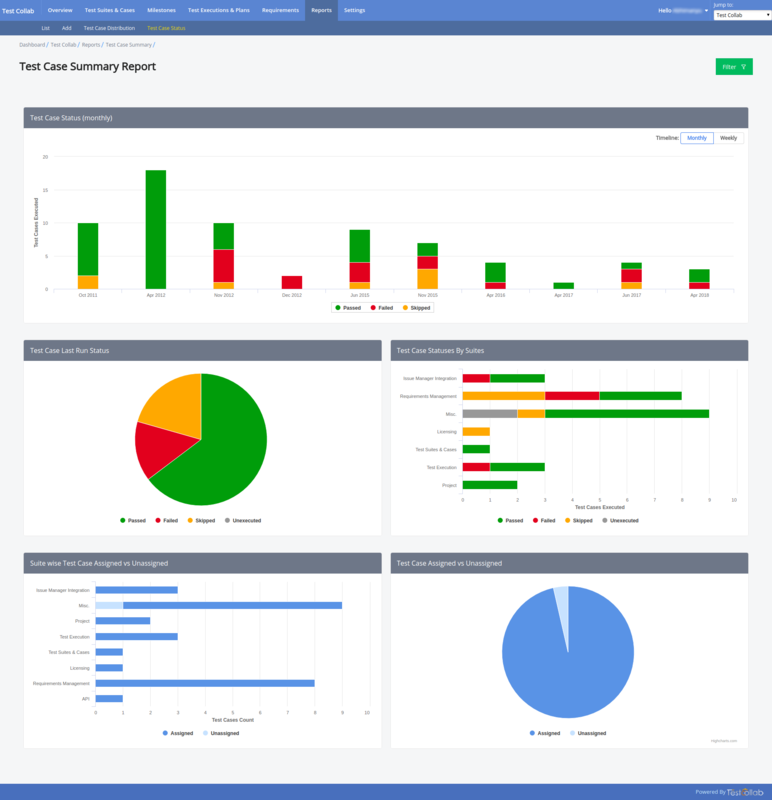 Test Case Status under Reports menu provides details of test cases, whether they have been assigned or not, their test execution results over the timeline of the project. 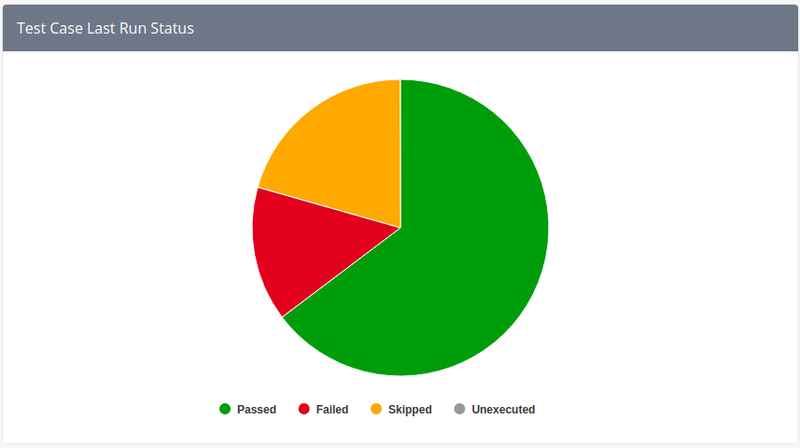 Shows the distribution of passed, failed, skipped and unexecuted test cases on the basis of their results during their latest executions. 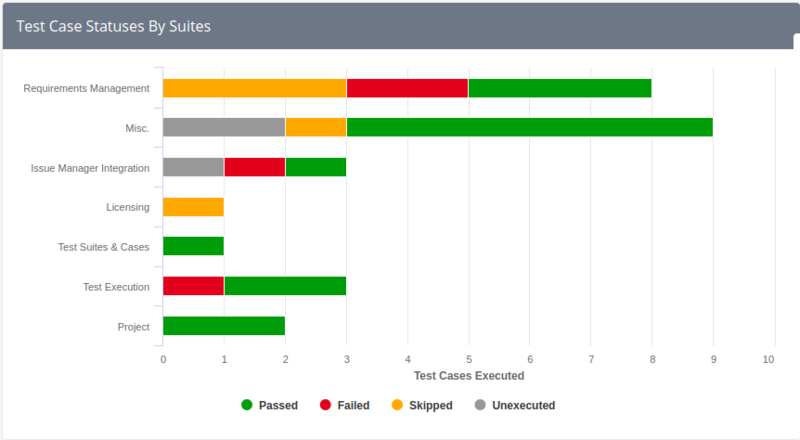 Shows the distribution of passed, failed, skipped and unexecuted test cases under various test suites on the basis of their results during their latest executions. 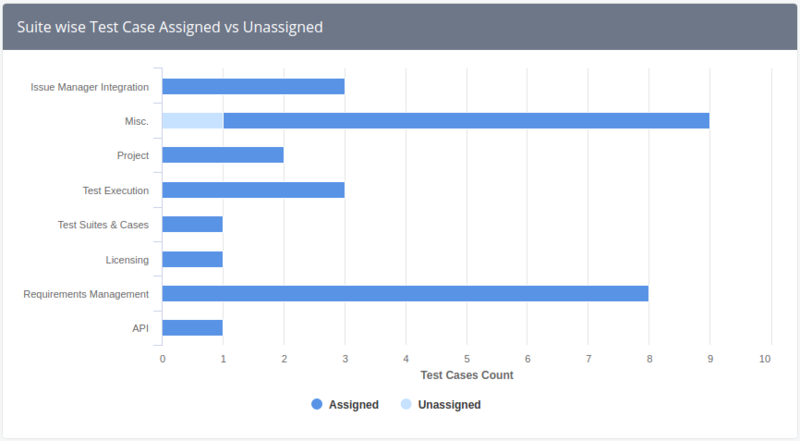 Distribution of the number of test cases grouped in various test suites on the basis of whether they have been assigned for execution in the project or not. 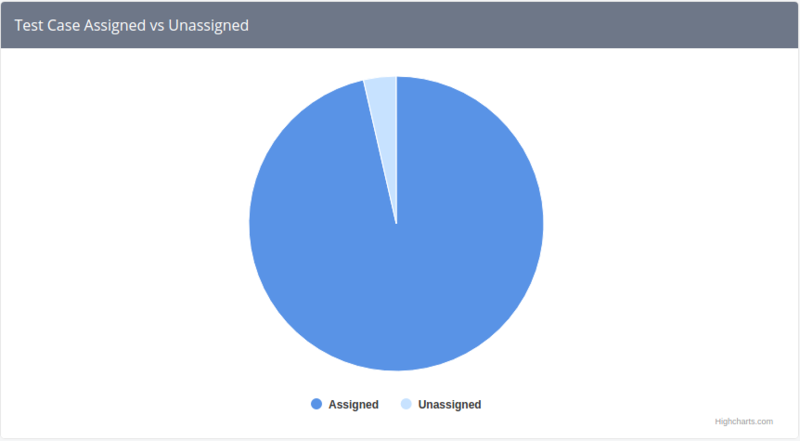 Distribution of the number of test cases shown on the basis whether they have been assigned for execution in the project or not.